Our cottage is located on the Georgia side of Lookout Mountain, just ten minutes from downtown Chattanooga, Tennessee. It is a one large bedroom/living room combination, 2 full bathrooms, and a full kitchen. There is a queen size bed and a queen pull out sofa bed. It is a quaint and private space located across the street from the iconic Lookout Mountain attraction, Rock City. The cottage is also conveniently located a half block from a Starbucks coffee shop. It is larger than a hotel room, and there is ample room to spread out. We provide coffee, tea, WiFi, and HD Cable TV. There is ample parking for two vehicles. This Cottage is absolutely adorable. It has all of the Comforts of home and is walking distance to Rock City if you go to Lookout Mountain Georgia is a must-see. My family's stay was absolutely perfect! My wife and I stayed here last night. The weather was cooler than normal outside. We loved the place! It was right across the street from Rock City, which we visited. We also were close to Ruby Falls and the Incline Railway. Michael, thanks for opening this part of your home to us. This is also great for an extra person if needed. We will definitely come back in the future. Thanks! Absolutely loved staying at the cottage with our young children. Kids were able to ride their bikes in the driveway and explore a little bit. Being at the top of Ochs Hwy was super convenient and the scenic drive spectacular. The cottage was clean and comfortable. Thank you for renting your cottage to us! We had a great week! This was a great place to stay. The owner, Michael was very helpful. I would definitely stay here again. And just so you know, before complaining that’s there’s no hot water just give it a little time and it will get there. It’s just a little slow reaching all the way to the shower but was not a problem at all. I would highly recommend this place if you’re looking to be just minutes away from downtown Chattanooga and walking to Rock City. 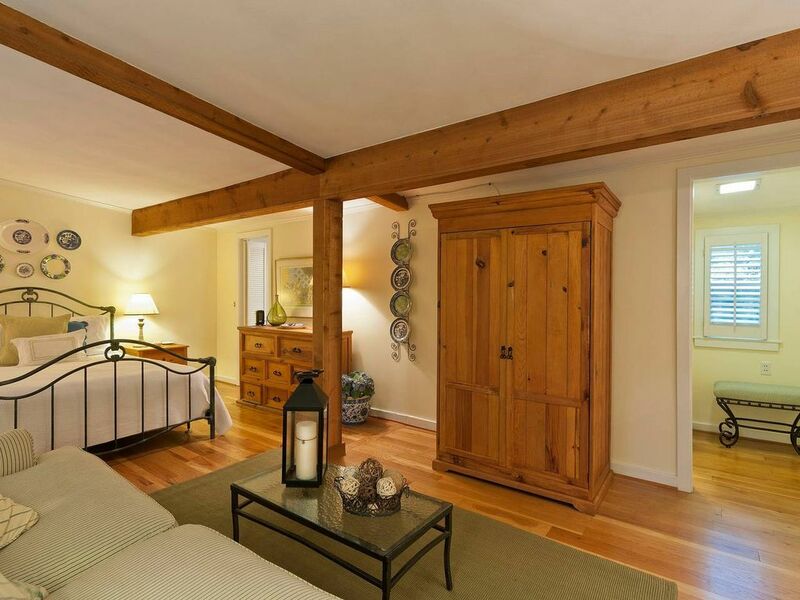 Michael's cottage is in a fantastic location and is super clean, quaint, and comfy. Would highly recommend Mockingbird Cottage. The Mocking Bird Cottage is located right next to the iconic Lookout Mountain attraction, Rock City. Additionally, it is located a short drive from Ruby Falls, the Tennessee Aquarium, the Chattanooga Zoo, Reflection Riding Arboretum and Nature Center, and many other Chattanooga attractions.